Girls seeking abortions in New Hampshire must first tell their parents or a judge, some employers in Alabama must verify new workers' U.S. residency, and California students will be the first in the country to receive mandatory lessons about the contributions of gays and lesbians under state laws set to take effect at the start of 2012. Many laws reflect the nation's concerns over immigration, the cost of government and the best way to protect and benefit young people, including regulations on sports concussions. Alabama, with the country's toughest immigration law, is enacting a key provision requiring all employers who do business with any government entity to use a federal system known as E-Verify to check that all new employees are in the country legally. Georgia is putting a similar law into effect requiring any business with 500 or more employees to use E-Verify to check the employment eligibility of new hires. The requirement is being phased in, with all employers with more than 10 employees to be included by July 2013. Supporters said they wanted to deter illegal immigrants from coming to Georgia by making it tougher for them to work. Critics said that changes to immigration law should come at the federal level and that portions of the law already in effect are already hurting Georgia. "It is destroying Georgia's economy and it is destroying the fabric of our social network in South Georgia," Paul Bridges, mayor of the onion-farming town of Uvalda, said in November. He is part of a lawsuit challenging the new law. Tennessee will also require businesses to ensure employees are legally authorized to work in the U.S. but exempts employers with five or fewer workers and allows them to keep a copy of the new hire's driver's license instead of using E-Verify. A South Carolina law would allow officials to yank the operating licenses of businesses that don't check new hires' legal status through E-verify. A federal judge last week blocked parts of the law that would have required police to check the immigration status of criminal suspects or people stopped for traffic violations they think might be in the country illegally, and that would have made it a crime for illegal immigrants to transport or house themselves. 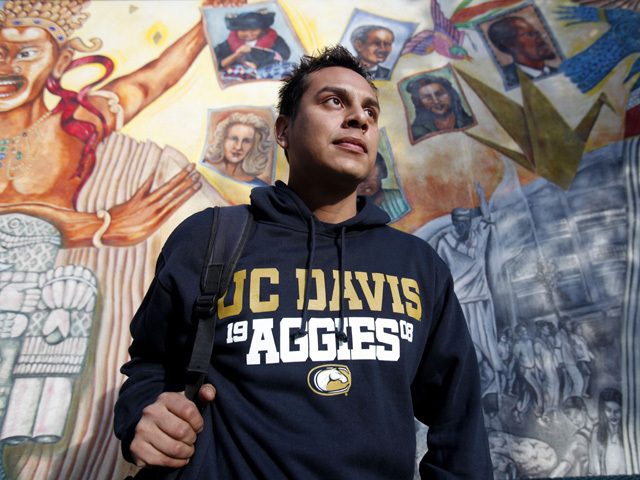 California is also addressing illegal immigration, but with a bill that allows students who entered the country illegally to receive private financial aid at public colleges. Many laws aim to protect young people. In Colorado, coaches will be required to bench players as young as 11 when they're believed to have suffered a head injury. The young athletes will also need medical clearance to return to play. The law also requires coaches in public and private schools and even volunteer Little League and Pop Warner football coaches to take free annual online training to recognize the symptoms of a concussion. At least a dozen other states have enacted similar laws with the support of the National Football League. People 18 and under in Illinois will have to wear seat belts while riding in taxis for school-related purposes, and Illinois school boards can now suspend or expel students who make explicit threats on websites against other students or school employees. Florida will take control of lunch and other school food programs from the federal government, allowing the state to put more Florida-grown fresh fruit and vegetables on school menus. Agriculture Commissioner Adam Putnam says the change will help children eat healthier. Opponents have filed five potential initiatives to repeal the requirement outright or let parents remove their children while gays' contributions are being taught. In New Hampshire, a law requiring girls seeking abortions to tell their parents or a judge first was reinstated by conservative Republicans over a gubernatorial veto. The state enacted a similar law eight years ago, but it was never enforced following a series of lawsuits. In Arkansas, facilities that perform 10 or more nonsurgical abortions a month must be licensed by the state Health Department and be subject to inspections by the department, the same requirements faced by facilities that offer surgical abortions in the state. It affects two Planned Parenthood facilities that offer the abortion pill, though they're not singled out in the statute. Among federal laws, a measure Congress passed last week to extend Social Security tax cuts and federal unemployment benefit programs raises insurance fees on new mortgages and refinancings backed by Fannie Mae, Freddie Mac and the Federal Housing Administration by 0.1 percent beginning Jan. 1. That covers about 90 percent of them and effectively makes a borrower's monthly payment on a new $200,000 mortgage or refinancing about $17 a month more than it would have been if obtained before the first of the year. Nevada's 3-month old ban on texting while driving will get tougher, with tickets replacing the warnings that police have issued since the ban took effect Oct. 1. In Pennsylvania, police are preparing to enforce that state's recently enacted ban on texting, scheduled to take effect by spring. Election law changes in Rhode Island and Tennessee will require voters to present photo ID, a measure that supporters say prevents fraud and that opponents say will make it harder for minorities and the elderly to cast ballots. In Ohio, a measure that creates one primary in March, instead of two that would have cost the state an extra $15 million, goes into effect later in January. Ohio is also one of eight states with automatic increases in the minimum wage taking effect Jan. 1. The others, with increases between 28 and 37 cents, are Arizona, Colorado, Florida, Montana, Oregon, Vermont and Washington. A few laws try to address budget woes. In Delaware, new state employees will have to contribute more to their pensions, while state workers hired after Jan. 1 in Nevada will have to pony up for their own health care costs in retirement. Jan. 1 is the effective date in many states for laws passed during this year's legislative sessions. In others, laws take effect July 1, or 90 days after passage.